This interview with one of ViewVo’s mentors, Claire Gillespie, gives a great insight into changing careers and setting up your own craft business. 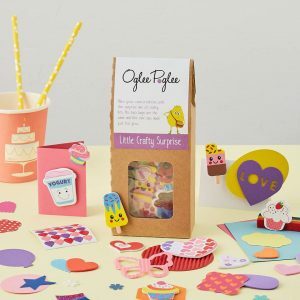 Claire is the founder of Oglee Poglee, a successful craft business offering a range of imaginative children’s craft parties, workshops and creative party bags. A career changer herself, Claire is well equipped to mentor people who are thinking of changing careers and starting their own craft business. Take a look at Claire’s interview to find out more about the ins and outs of setting up your own craft business. I used to work in a charity which supported craftspeople. My role was to promote what they did and provide them with access to opportunities to learn and train their skills to run their own businesses. I’ve been lucky, I’ve always really enjoyed my work. I studied 3D design at University and, when I left, I wanted to be a glassblower. I had a list of 12 places. I went and asked for experience and the first 11 said no – but my twelfth and final studio offered me the chance to work. I stayed for 8 years and by the end had free reign and was running events and exhibitions. I then left there to do that on a larger scale for a charity, helping craftspeople get access to training and development to help them build up their businesses. I loved working with artists and supporting them and seeing them develop. 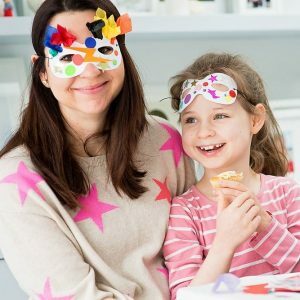 After I had children, my husband and I moved out of central London. When I went back to work, I found the cost of childcare and travelling into London couldn’t really be justified by the salary. I came to an agreement with my organisation to work from home, but without the team interaction and seeing and working with the artists, my role became more admin based and it just wasn’t working for me anymore. So, in the end, I gave it up. It wasn’t really a moment like that – it was the combination of the work, the change in circumstances, the missing my team that slowly, over time, made me realise that I wasn’t as happy as I’d once been and it just didn’t make sense anymore. It was quite an organic process. 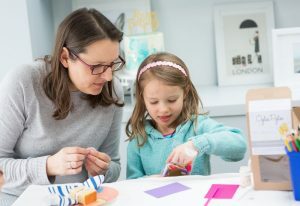 When I first started to work for myself, I assumed I’d do what I was doing before: help craftspeople build up their business – just on a freelance basis. I tried it, but it wasn’t really what I wanted. There wasn’t the chance to be that creative. One day, a friend of mine said I should take over a slot in the village hall. I rang them up to get some more information, and ended up booking up a slot there and then for the whole term! When my husband came home he asked me what I was going to do with it and, at that point, I thought crafts parties for children. That was my first step towards creating Oglee Poglee as it is now. I didn’t know then what it would lead to – sometimes you have to explore and take hold of opportunities when they arise. I’m so happy now. Five years down the line, I now have a business I’m passionate about, which works brilliantly around my family. I get to be more creative and, over time, I’ve found that my messages and marketing are clearer and more consistent. Consequently, the business now makes a tidy profit. I’m unbelievably busy. I employ a few people and love the variety and control which comes from running my own business. I don’t miss the commuting or writing funding proposals! I’d love to say that I had this business beautifully planned out, but it really didn’t work like that. From the moment I’d booked the village hall for a term, I knew I had to then commit to something. I started with the idea of doing crafts parties and then, over time, I’ve done all sorts of things. When you try different things out, you get a chance to see what does and doesn’t work. Over time, this has led me to where I am now. Every successful business is the result of learning what doesn’t work – you can’t get there without exploring different options. So many! When I started as a freelancer, I went through the motions: did a website; did the branding exercise; got business cards made – but, when I started to get a few clients, I realised my heart wasn’t in it anymore. In a way, I’d done that chapter and moved on. Looking back now, I wonder why I invested in those things before even knowing it is was a business I wanted to run! I think of the time and money wasted and wish I’d thought about it a little more before going full steam ahead. I didn’t put any money into Oglee Poglee when I started. I literally printed off posters on A4 paper using PowerPoint and I stuck them up around town to advertise my first craft classes. People started to ask if I do craft parties, so then I had to get kits ready (which I now sell) and then we started developing party bags. After a couple of years, once I’d proven to myself this was a viable and profitable business, I then started to spend money on getting some designs and getting proper branding done. It is hard to be clear about what you’re doing at first. You don’t know what you don’t know, which is probably why I come back to the point about being prepared to make mistakes and trying different things. It’s also really hard finding the right people to work with. The networking groups I am in are my main support network now. If I have a question or query, I can share that out with the group and within minutes I’d say 2-3 people get back to me. I’m a mentor with ViewVo, which I agreed to do because I believe in helping others and giving people chances to see what the work is like. I know how hard it is to change careers, and there isn’t much practical advice or guidance out there. So, when I was asked to be a mentor, I was happy to say yes. I also think you should join a networking group – but be prepared to put in some time. I wasn’t sure what to expect at first, but now that I know people in my network and we know each other a bit more, I’m happy to ask for and give advice in return. That businesses evolve. You have to be prepared to change all the time. You also have to learn that you can’t do it all and outsource the things which aren’t your strengths. For example, I have an amazing woman who does my PR. If I was to do it myself, I’d be a disaster! As your life changes, what you want to do for work will change. What makes sense to someone in their twenties may well change when you’re in your thirties with young children. Change takes time and it won’t happen overnight. You have to be prepared to make a few mistakes and to evolve and develop. I’d certainly say hold off on investing in anything major until you’re getting indications things are working. 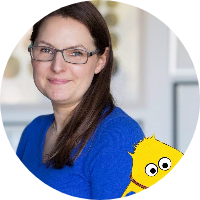 You can find out more about Claire and the mentoring and shadowing opportunities she offers with ViewVo here. Previous Find out how to build an app business from Tarryn Gorre, CEO of Kafoodle, a successful food-tech app business.